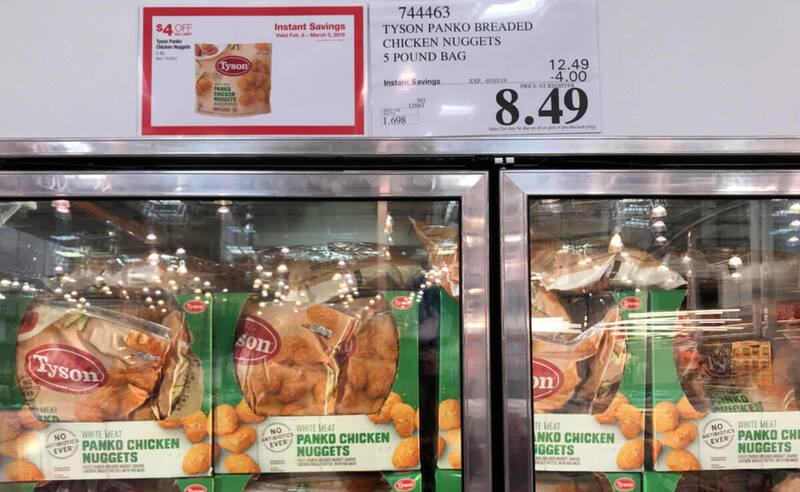 Costco: Tyson Panko Chicken Nuggets – $0.10 per oz! 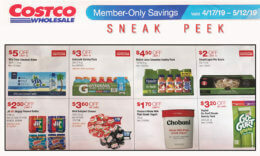 Costco has a deal on Tyson Panko Chicken Nuggets until 3/3. 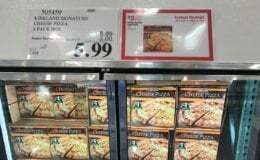 You can get a 5 pound bag of Tyson Panko Chicken Nuggets for $8.49. 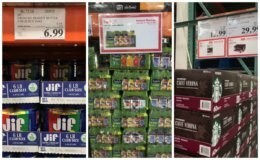 The regular price is $12.49 and there is an instant savings offer which takes off $4.00 per bag. This deal works out to about $0.10 per oz. There is a no limit on the amount of offers you can purchase. Tyson Fully Cooked Chicken Nuggets, 32 oz. – $6.99 – $0.22 per oz. Tyson Fully Cooked Chicken Nuggets, 32 oz. – $4.62 – $0.15 per oz.